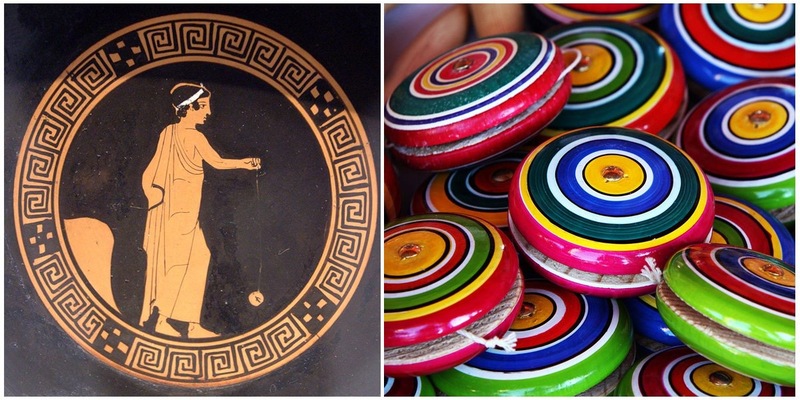 The origin of the yo-yo is still a source of debate, but the first historical mention of it comes from Greece in the year 500 BC. 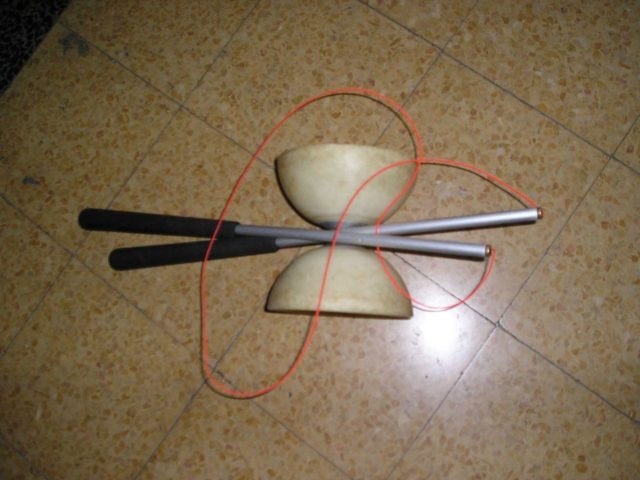 Some historians believe that the yo-yo likely originated in China because of a similar toy called a diabolo, which had almost the same design. 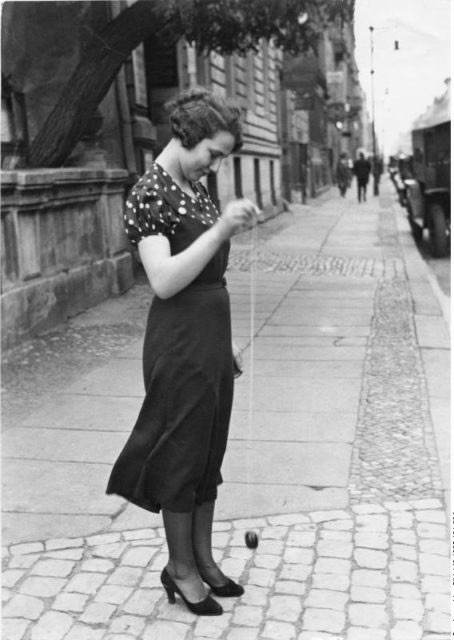 Throughout history, many countries have made the claim to be the inventor of the yo-yo, but there is no conclusive documented evidence. It has also been suggested that the toy was adapted from an early type of weapon, which may have originally been used to hunt animals. 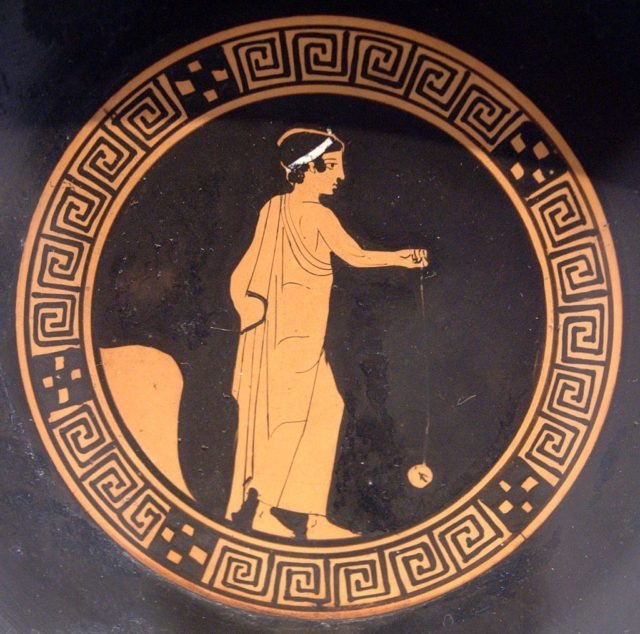 Boy playing with a terracotta yo-yo, Attic kylix, c. 440 BC. 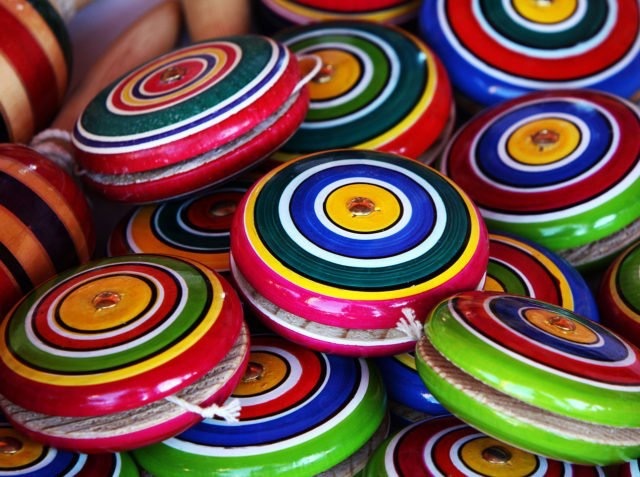 There is a popular story about the yo-yo being a centuries-old weapon from the Philippines. Historical records indicate that 16th-century hunters in the Philippines hid up in trees with yo-yos, waiting for a victim to pass below. These yo-yos were really heavy and were made from rocks which were tied to a long cord. Today, the yo-yo is a very popular toy in the Philippines but there is no documented evidence that it was ever used as a weapon. The yo-yo as we know it today was invented in 1928 by Pedro Flores, who opened the Yo-Yo Manufacturing Company in Santa Barbara, California. After one year, the potential of this toy was recognized by Donald F. Duncan, who bought the Flores Yo-Yo Corporation, including the Flores name. As a trademark, the name yo-yo was first registered in 1932. In 1946, the Duncan Toys Company opened a yo-yo factory in Wisconsin and in 1999 Duncan’s yo-yo was inducted into the National Toy Hall of Fame. 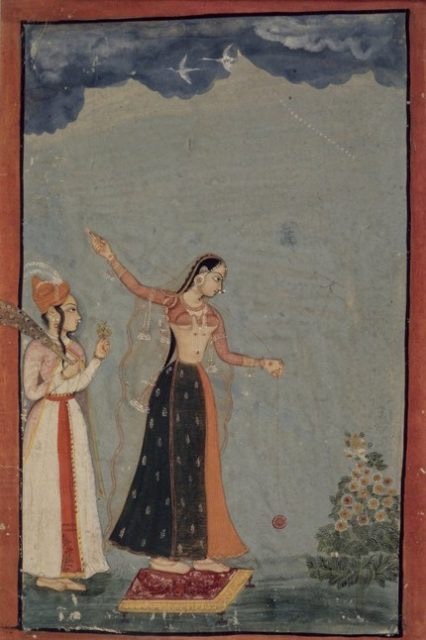 Lady with a yo-yo, Northern India (1770). 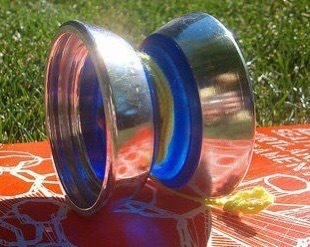 As a result of its popularity, there were a number of innovations in yo-yo technology in the 1970s and 1980s. In 1978, Tom Kuhn patented the “No Jive 3-in-1” yo-yo, the world’s first “take-apart” yo-yo and the first to have a replaceable axle. Kuhn also produced the world’s largest yo-yo, which was a super-sized version of the No Jive yo-yo. This particular yo-yo made it into the 1981 Guinness Book of World Records. There are many different shapes of yo-yo. The two best known traditional shapes are the modified shape and the butterfly shape. The modified shape is also known as a flywheel or modern shape and it is a very popular design for looping-style tricks. The butterfly wooden shaped yo-yo was first released by Duncan and was invented by Wayne Lundberg. The modern yo-yos that people use today are in the V shape (the basic shape of the yo-yo), the W shape (which is also known as the ‘stepped V’), the O shape (or the ‘organic’ shape), and the H shape. 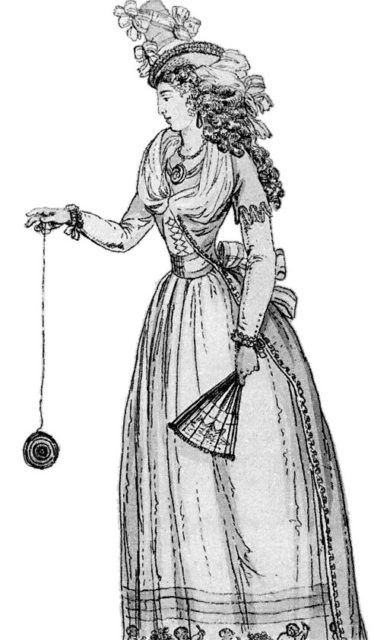 A 1791 illustration of a woman playing with English Bandalore (yo-yo). On April 12, 1985, the Duncan Yo-yo, along nine other toys, had the honor to become the first yo-yo in space. It was part of the experiment series “Toys in space” and astronaut David Griggs had the honor of becoming the first person to play with a yo-yo in space.